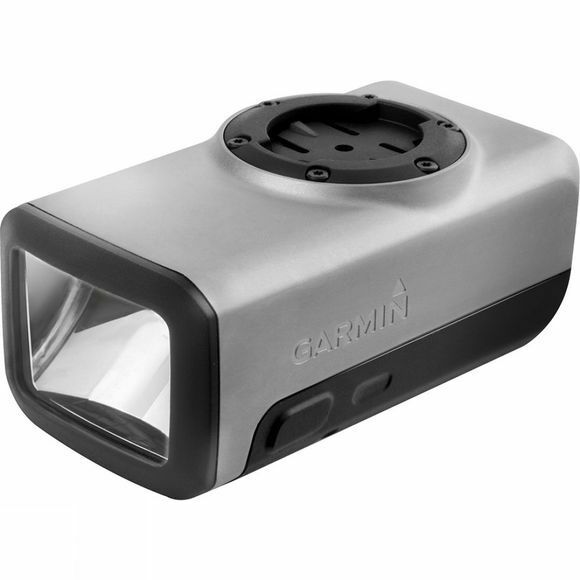 The Varia Bike Headlight from Garmin helps to create safer riding by adjusting to changing light conditions as well as bike speed when paired with select Edge computers. As speed increases, the headlight automatically projects light further ahead to where it's needed most. As ambient light fades or gets brighter, the light adjusts automatically when paired with a light-sensing Edge 1000 bike computer. Beam cutoff prevents the light from blinding oncoming drivers.